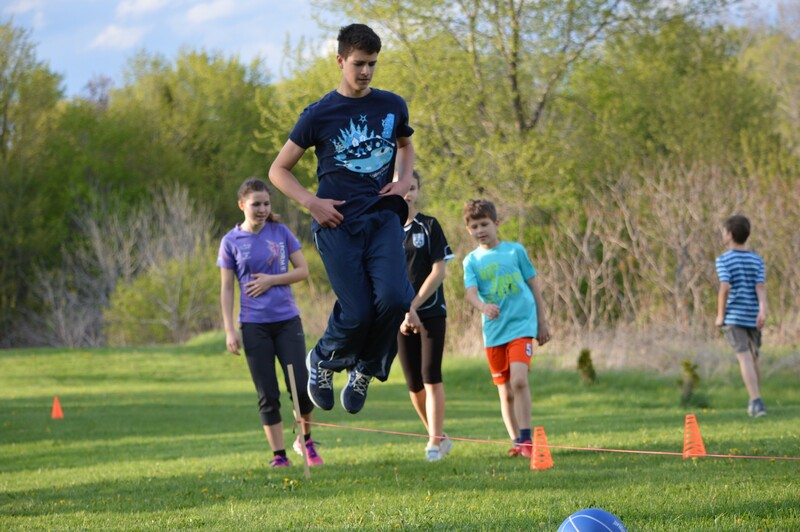 Intensive Fitness for Kids and Families is one of our very popular programs. It was designed to fit various groups of kids and youths from 8 to 17 years old as well as their families. Program is based on finest Olympic programs and focus on kids strength and conditioning improving while having fun from physical exercise. Program is led by our very experienced coach Edmound Atanelli, he is former athletics champion and judge. We had in 2015-2016 school year pilot program inside and outside which prove to be a very successful program. As well year after pilot one 2016-2017 and last one 2017-2018 we proved that program is a real hit with faithful followers. This year we plan to continue with that program on regular basis twice a week 60 min each time (maybe 80 minutes, depend on demand). Training sessions will be Tuesday and Thursday from 6 pm, with younger kids first, following by family practice and ending with elder kids training. Our training session will be held by 2 months training cycle.